The Little Evil shows his rise to the top, as Jens Pulver makes his way to Fighting Insider's list of MMA's Besf Fighter. Born as Jens Johnnie Pulver on December 6, 1974, Jens Pulver was the first UFC Lightweight champion. He also holds notable wins over BJ Penn, Caol Uno, Cub Swanson, Cole Escovedo, Dennis Hallman, Rob Emerson and Joe Stevenson. A son of a licensed horse jockey, he grew up Maple Valley, Washington, and was raised in what he calls a ‘daily hell’. Jens Pulver’s childhood is full of continual violence and abuse due to his alcoholic father. Many of the abused he faced as a kid was written in his autobiography, Little Evil: One Ultimate Fighter’s Rise to the Top. In addition to this, his struggles and success with depression, family and religion were a subject of Timothy McKinnon’s book, NEVER. The summer before Jens Pulver entered sixth grade, he was introduced to Jack Vantress — a family friend who encouraged him to join youth wrestling. He went on to wrestle for Tahoma High School, then for the Highline Community College where he became the top eight wrestler at NJCAA National Championships. Jens Pulver then wrestled for Boise State University, before a bilateral injury of the wrist ended his career. 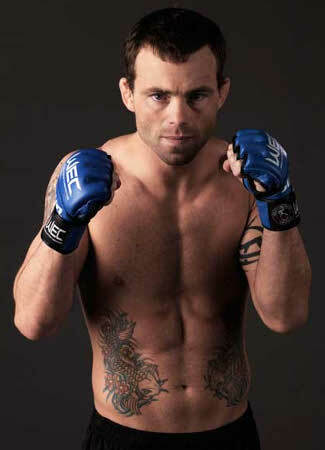 While in college and taking Criminal Justice, Jens Pulver’s interest switched from wrestling to MMA. He became successful in underground events, until Lowell Anderson got him involved in sanctioned MMA contests. Jens Pulver won one match at the Bas Rutten Invitational before losing his second match due to lack of training in martial arts. He fought again the third time, where he won and impressed the former UFC matchmaker — John Perretti. Jen Pulver started his UFC career in September 1999, where he won four times before gaining a title shot against Caol Uno in February 2001. He won the title by unanimous decision, making him the first UFC World Lightweight champion. He successfully defended his title against Dennis Hallman and BJ Penn, before leaving UFC due to contractual conflicts. Jens Pulver became famous for what is now called ‘sprawl and brawl’ in MMA.